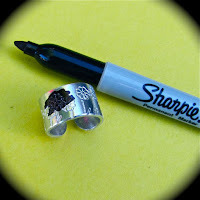 How do you darken the letters in aluminum metal stamped jewelry??? Bake your pieces after adding the contrast for 1 hour at 260 Degrees. *****Hotter than 260 Degrees seems to Cause Flaking of the marker!!! Yahoo!!!! The color is permanent!!!! 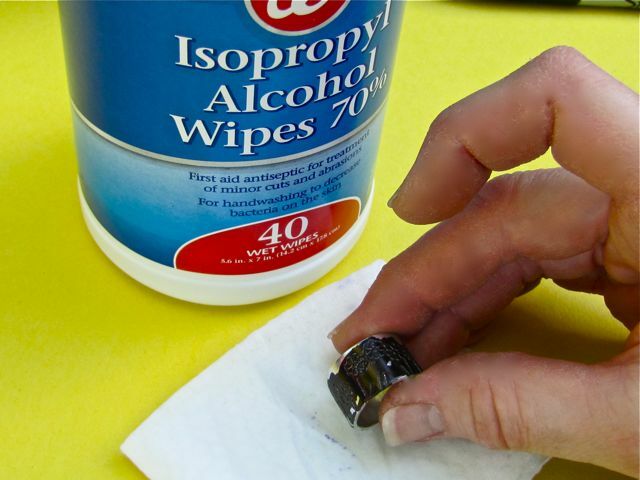 Use an alcohol wipe to take the marker off the upper area. It is best to fold the wipe like a pillow to prevent taking the marker off the recessed areas. 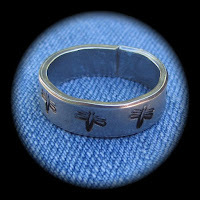 I like to add the darkening after the ring or cuff has been curved. ******NOW BAKE YOUR PIECE IN A REGULAR OVEN AT 260 DEGREES FOR ONE HOUR. Finish by buffing or tumbling. The darkened areas are SET and very Permanent!!! Gotta Getta Deal on ETSY is run buy Ear in the Envelope, Inc.